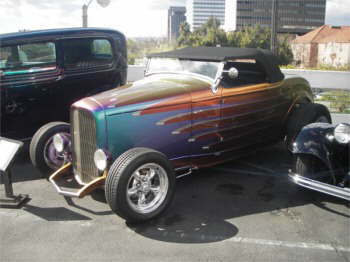 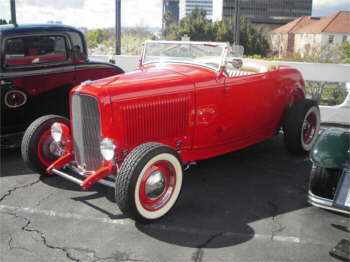 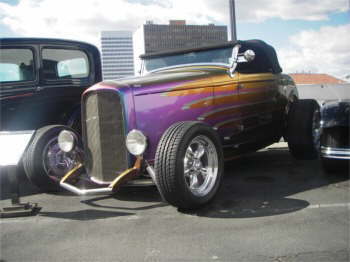 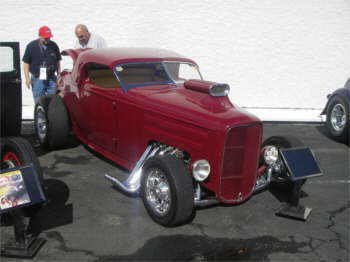 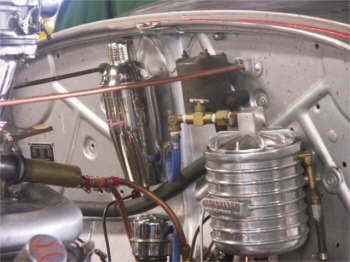 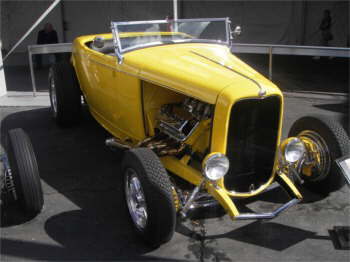 “If you push her too hard, she’ll go slip’ slidin’ down the street like a wet bar o’ soap!” Billy Record exclaimed with pride about his twin vortex supercharged Deuce roadster. 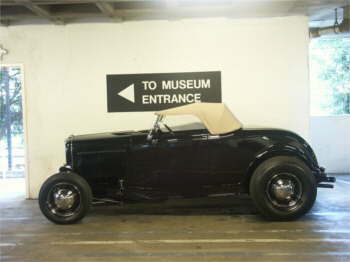 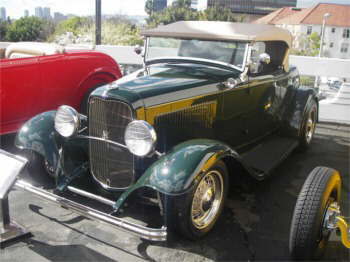 His story, along with many others told at the Petersen Automotive Museum’s Deuce Week, provided a rare glimpse into the lives of those who own the iconic ’32 Ford. 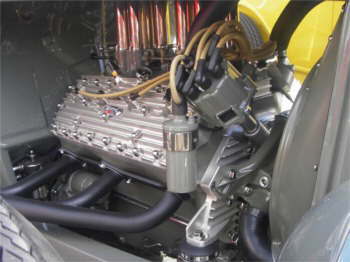 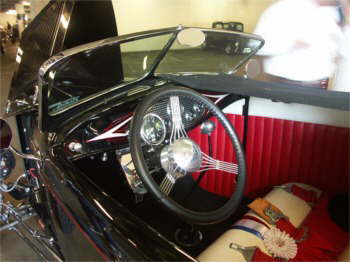 With over 750 deuces crammed into every crevice at the Museum, you could view almost any conceivable configuration of Henry’s creation. 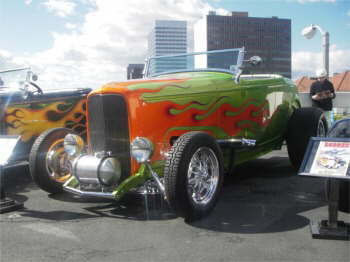 From salt lake racers to futuristic customs, and even a few original cars to boot, it was an exciting look into the rearview mirror of hot rod history. 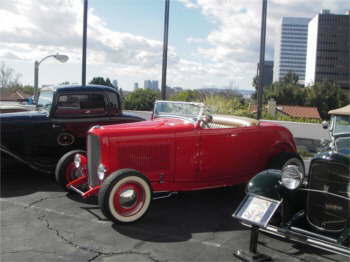 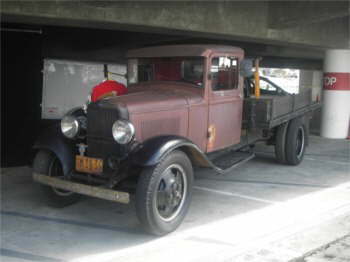 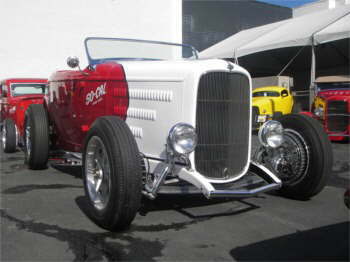 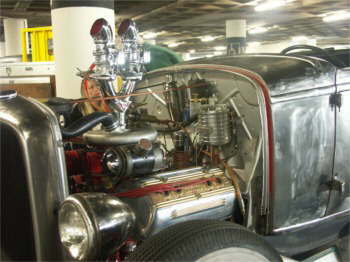 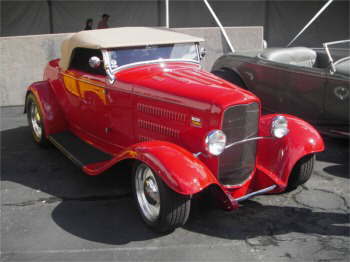 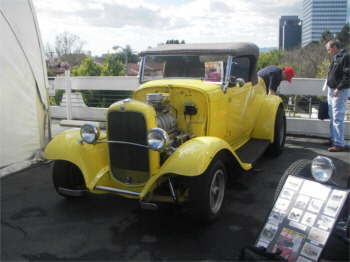 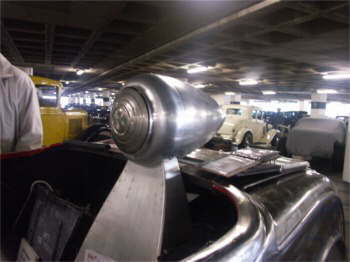 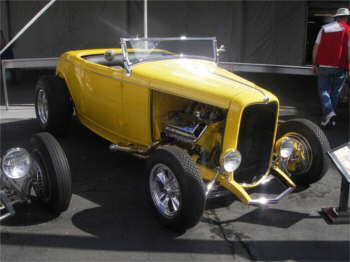 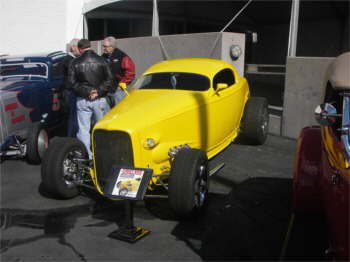 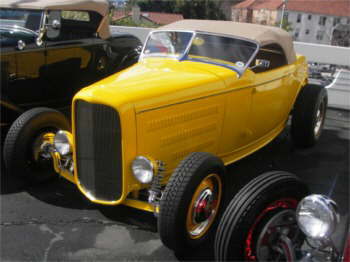 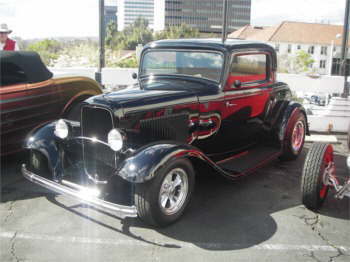 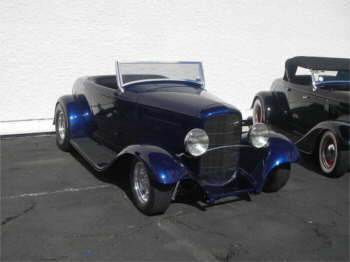 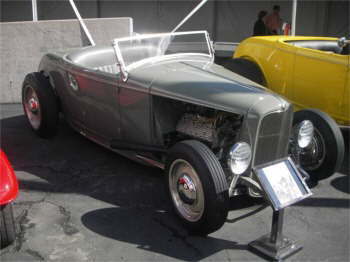 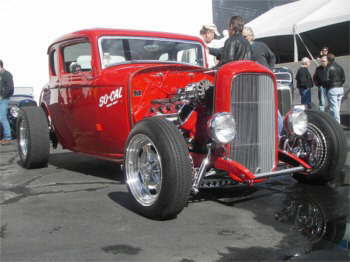 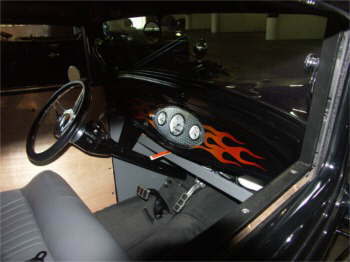 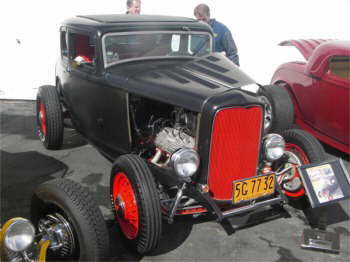 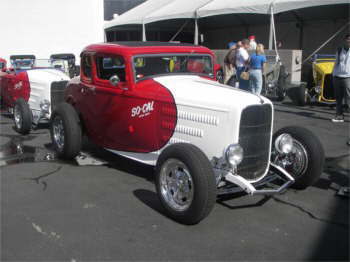 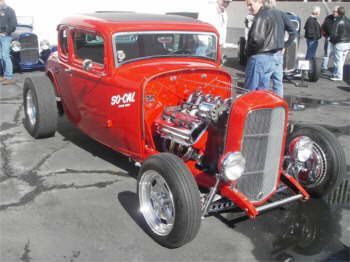 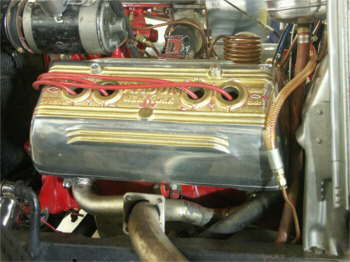 The almost-weeklong event included cruising to hot rod hotspots such as the So-Cal Speedshop, the NHRA museum, and a dinner with honorary guests such as: Wally Parks, Ray Brown, Bill Burke, Bud Meyer, Tom Sparks, Alex Xydias, Edsel B. Ford II, Ed Iskenderian, Stu Hilborn and Vic Edelbrock Jr. 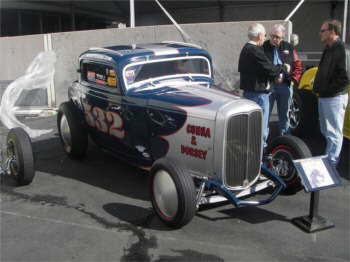 The week was rounded out by a Gala event on Friday night that included over 1,000 collectors, enthusiasts, racers and owners. 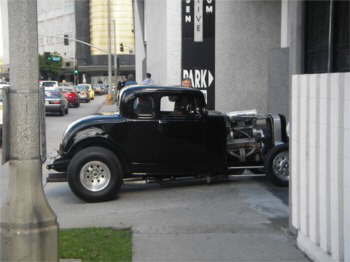 Also in attendance were special musical guests and Deuce owners Jimmie Vaughn and his band, Jeff Beck, Michael Anthony of Van Halen and Billy F Gibbons of ZZ Top. 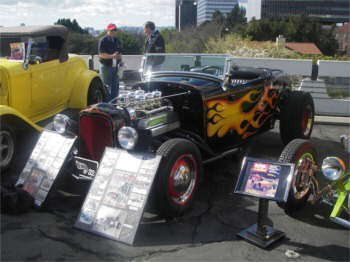 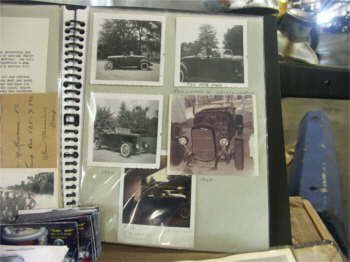 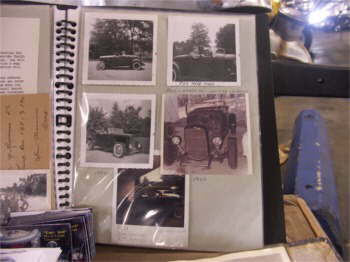 Saturday was the big event to showcase all 750 cars to the public. 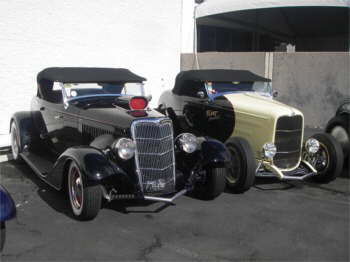 To see them all lined up really gave you a sense of all the wonderful and different combinations of talent and imagination that contributed to the evolution of the deuce.